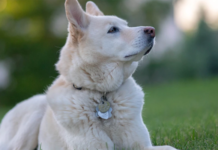 What to Look for When Buying a Dog Leash? How to Stop a Dog from Pulling on the Leash? 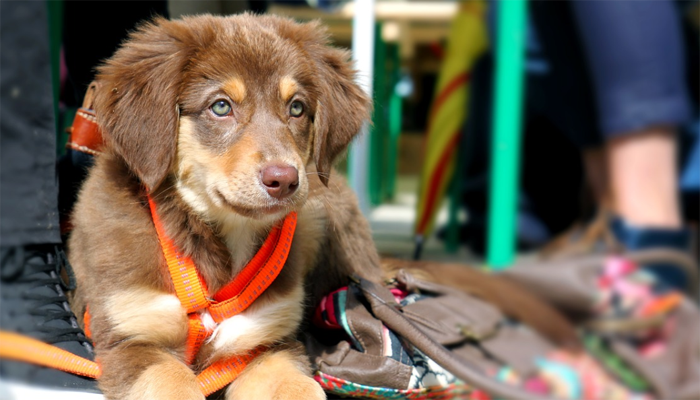 What are the Benefits of a Dog Leash? When we think about safety for our dogs, our minds immediately jump to leashes. Because they are what give us the most control over our pups when we take them for a walk. In most countries, dogs need to be leashed when in public, unless you are in an off-leash area. Leashes seem simple enough, just a long piece of material attached to your dog’s collar on one end and the other end is held in your hand. Simple is right, but it could be THE thing that saves your dog’s life. Anything that can save your pet’s life requires extra consideration when looking for the right one. The difference between a typical leash and one that’s durable and trustworthy is immense. Don’t make the mistake of choosing one based on the price. Your dog’s safety should again be your top priority. The extra tough nylon material combined with a chrome-plated snap hook can take on the toughest chewers and dogs with high energy. Any dog up to 110 lbs won’t get far with this leash on its collar. 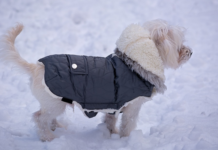 The retracting function makes it easy for you to keep your dog close or let it roam far with a press of a button. On top of all that, they give you a free waste bag dispenser plus bags! Who doesn’t like free gifts? The anti-slip handle will ensure your dog won’t catch you off guard and run off with the leash. This is a risk-free purchase with their 100% money-back guarantee. Why We Like It – Buying this retractable dog leash is like buying a ready package of everything you need to take your dog out. No need to carry the plastic bag dispenser and bags in your bag! Everything is going hand-free lately, including dog leashes! Convenience without compromising your pet’s safety is a great feature of this leash. Clip the belt onto your waist and set out on your adventure! The belt clip slides smoothly along the circumference of your belt, which gives your pet the freedom to move from one side to another. Extending to 48 inches, this leash gives you and your pet adequate room to move. The built-in handle allows you to control your dog at any time. The reflective strips provide added safety for a night run, and the high-quality material is tough enough to last. The lifetime guarantee is a bonus you won’t need! Why We Like It – Multifunctional and durable, it seems like Tuff Mutt has all the bases covered. Freedom doesn’t mean giving up control. 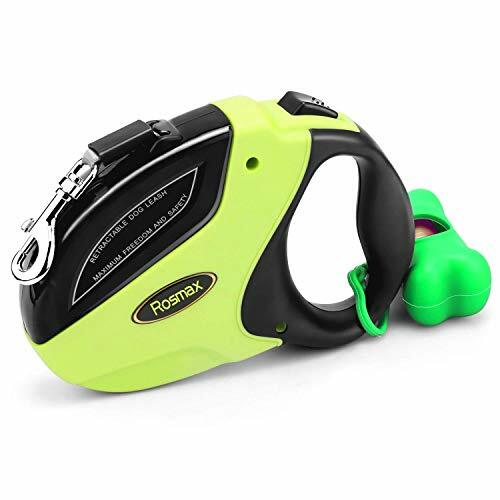 The handles allow you to still have peace of mind if you do need to gain control over your pup. Your eyes do not deceive you. The rope is the same as the one you’d use for rock climbing! 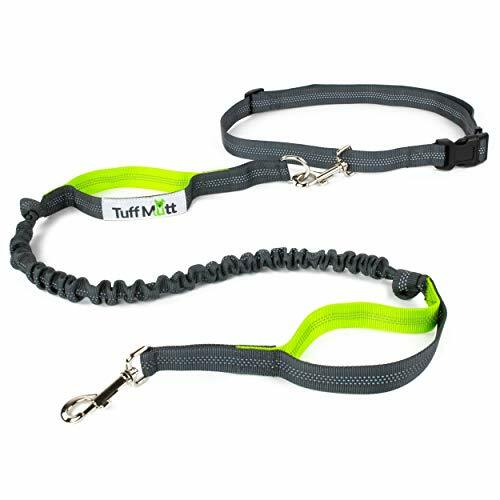 It’s a tough rope with a metal hook to keep your pooch safe but not tough on your hands with the thickly padded grip. Coming in a variety of colors, the reflective surface will keep you safe at night. Have total control over your pup but give it enough space to wander with the 5 ft distance. Not happy with the product? BAAPET also offers a 100% money-back guarantee no matter the issue. Get it for yourself or as a gift, it’s a great give for the affordable cost! Why We Like It – If you don’t want a dirty leash in your bag after a long walk, simply store this in the free storage bag it comes with! It’s that easy and convenient! 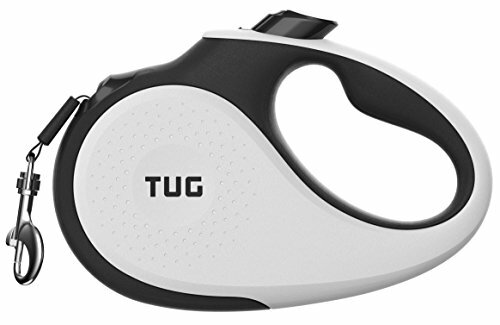 This Tug leash is actually anti-tug. The retraction function locks and unlocks easily with a simple roll of your thumb. The grip is anti-slip and super comfortable, so don’t worry about callouses. Make sure you get the right size for your dog, as a small one probably won’t hold your Golden Retriever very well. Their patented tangle-free design won’t snag the leash and gives you full control of your dog from any angle. Press down to pause, roll up to lock, and roll down to unlock. Pretty easy to understand, right? Why We Liked It – The rolling of the button to lock and unlock is an action that comes more naturally than click design that standard leashes come with. This leash is specifically designed with two handles to give you maximum control over your dog. One is placed at the 6 ft mark and the other one at a distance of 1 ft from the clip. The grip won’t cut into your fingers or give you rope burn due to the padding. Strong enough for medium to large dogs, the Primal Pet dog leash was constructed with high-quality materials with a 1-year replacement guarantee! With so many colors to choose from, for those pet parents who like to match colors, you can definitely find one to your liking. 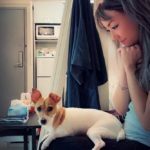 Why We Like It – Control is something we humans like to have, and control is needed when your pup’s life is in your hands. Pick your favorite color and click ‘order’! The strong spring design in this leash makes the retraction extra sensitive. Stop your dog dead in its tracks before it runs into the street. The brake, release and recoil function gives you the chance to keep your pup by your side when necessary. Fitting well with any sized hand, the anti-slip grip is comfortable and the leash itself is made of durable nylon. Another leash option that comes with a free gift, the cute bone-shaped bag holder clips easily onto the handle. No more carrying extra bags! 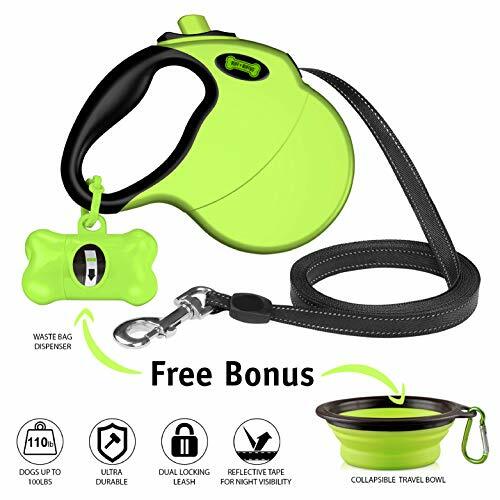 For just $16.99, you get a strong and durable leash, a dog bone plastic bag carrier and a free roll inside! Why We Like It – The internal mechanism is tried and true, gain full control of your dog but still give him enough space. The plastic bag dispenser comes in handy during potty time. 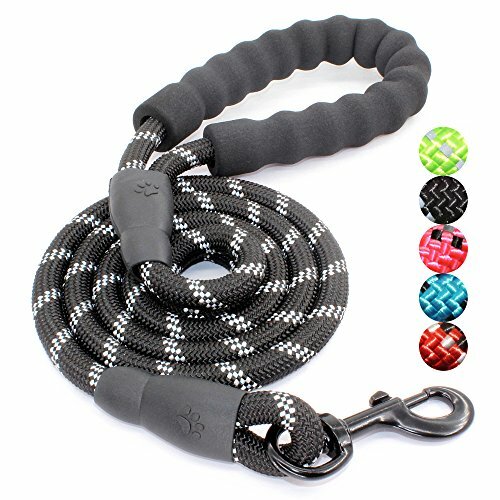 Another strong and durable, yet comfortable design, most of these retractable leashes have a tension level up to 110 lbs! You are protected against hard pulls and yanks from your dog with a comfortable and non-slip grip. With the one button that controls all, retract, release and lock the leash as needed. The leash ribbon extends to a distance of 16 ft, your dog won’t even notice the leash! 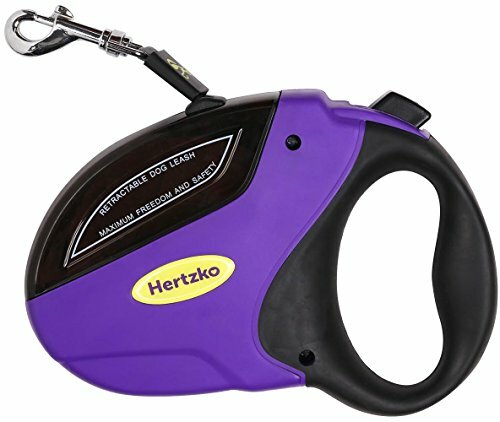 If the Hertzko dog leash doesn’t live up to your standards, there is a 30-day money-back guarantee. Give your pet the gift of safety and freedom with this dog leash. Why We Like It – The well-designed belt feeder keeps the leash from tangling. At 16 ft, the nylon ribbon will still hold strongly with no risk of snapping. 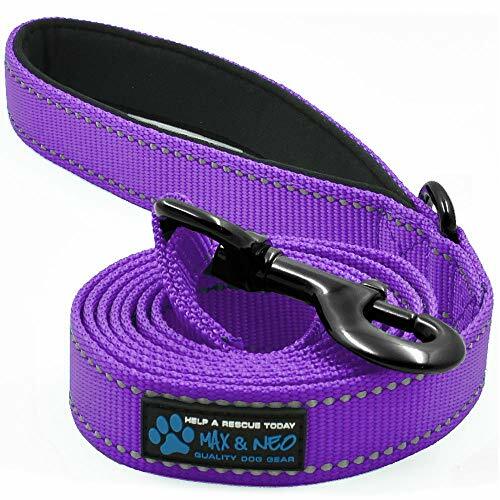 This nylon dog leash is reflective and pretty with seven solid colors to choose from. Care for not lonely your dog, but also rescue pups! With every leash purchased, Max and Neo donate an identical leash to rescue dogs! Feel good about your purchase knowing you’re helping out other dogs in need. The thick nylon can handle dogs of any size, on the condition that you pick the right size. The neoprene (wetsuit material) is soft on your hands and wrists with a sturdy clasp on the end to hook onto your dog’s leash. Even if your dog has wrecked the leash, the lifetime warranty covers defects and chew damage! Why We Like It – Helping others is a great characteristic. You can help your dog and other dogs with each purchase. Keep every dog safe with Max and Neo! Do I need to buy two leashes for two dogs? It can be a real hassle because you won’t have any hands free, and your pups can get tangled. With the Snagle Paw Dog Leash Coupler, you have the freedom of walking two dogs at once with full control. Free up your hands to pick up after your pooch easily. The bungee leash absorbs quick forces without jerking you or your pooch. The durable nylon is extendable up to 31.5 inches, perfect for dogs above 30 lbs. Keep you and your dogs visible at night with the reflective stitching. Another tip is to match this hi-vis lead with an LED dog collar. Why We Like It – Walking two dogs at once can mean more tangles and knots. 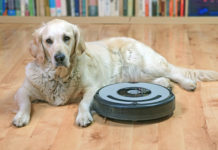 With the swivel attachment which rotates as your dog moves, keep everyone involved from tripping or falling. 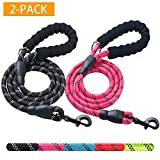 Another leash that utilizes mountain climbing rope for maximum safety, you don’t need to worry about the leash snapping. There is no need for a collar or harness with this leash, as it hooks onto itself to create an adjustable loop. IT’s a one size fits all design that comes in 6 colors. Heavy-duty but lightweight, it’s easy to keep this leash on you and support even the strongest of dogs out there. This six-foot leash is also reflective at night and totally waterproof. No more excuses not to take your dog out for a walk on a rainy day! Why We Like It – If the rope is tough enough to hold a person’s body weight vertically off a cliff, it can hold your dog. Just make sure YOU are strong enough to hold him! So many options! An important part of buying anything is to first identify your needs and that of your pup’s. There are lots of different types of leashes and part of your job is to narrow down the options. It can be tough, so read through this review and gain the knowledge you need to make the right choice. There are many choices out there, but we’ll be exploring the more common and popular ones. 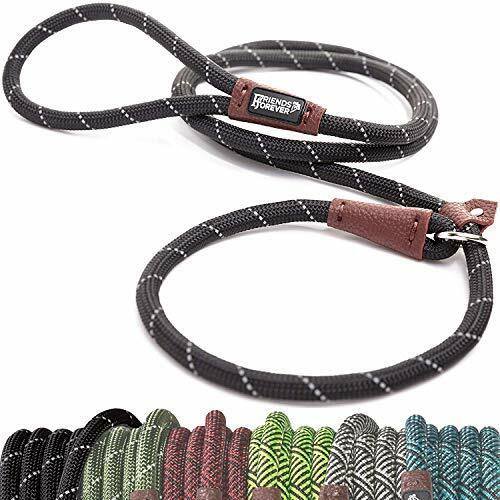 Standard leash – This type is usually made of nylon or leather, with the occasional option in cotton or rubber. It’s just a simple strip of material that measures from around 4-8 feet. Retractable leash – A little more functional and safe compared to the standard leash, retractable leashes are very common and give you more overall control. They can measure anywhere from 4 to 30 ft long. 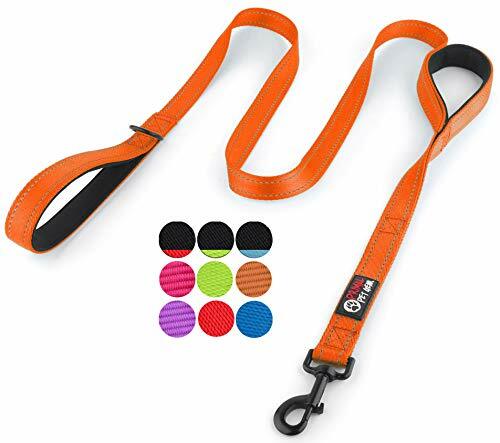 Adjustable leash – This leash is a mix between the standard and retractable leashes. It looks like a standard leash but has adjustable buckles to customize the length. Multiple dog leash – Pretty straightforward to understand, this dog leash allows you to walk more than one pooch at a time. Usually coming with a single grip handle and 2 or more leashes attached. Whether the leash you choose is retractable or not, the shorter the leash the more control you have. 4 ft leashes are ideal for training, and if you need maximum control over your pup. It doesn’t give them enough room to roam, so we recommend a longer one for leisure walks. 6ft is the most common length for dog leashes. It gives them enough room, and you enough control. It is ideal for quiet neighborhoods with minimal traffic. 8 to 10 feet leashes are more for training purposes. They give you enough room to maintain control, but give them enough freedom without you looking over their shoulder. Long leashes (over 10 ft) are great for space and giving them good exercise in a large space. The thicker the leash, the more durable it is usually. Get a thick leash if your dog is a chewer or pulls and tugs a lot. A thin leash is good for smaller pups. Again, we will look at some of the more common materials used in dog leashes. Nylon – This is the most common material used to make dog leashes. Nylon is generally strong and durable and is tough enough to withstand your pup. Make sure the handle has enough padding, as it’s easy to get rope burn. Leather – Leather is a great material for dog leashes. It’s soft but strong, and the only problem is the high pricing. Chain – Chain leashes are cheap, but not ideal. They pose a potential threat to your dog and your as they can easily snag on their fur and scratch you up. We do not recommend chain leashes if you have other options. Cotton – Cotton is best for dogs who love water! They aren’t commonly found though and can cause rope burn much like nylon can. Usually, there are leash laws in different cities and communities. If there is such a law, you have no choice but to leash up. 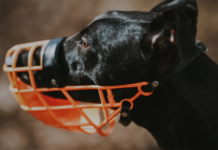 It also minimizes the risk of your dog lunging into traffic or chasing after other dogs or people. If by chance they get aggressive, you are also able to stop them dead in their tracks. Leashes are also common tools for obedience training. They will learn to stay by your side and not run off on a whim. Start with a shorter leash and then graduate to longer ones. You are the one walking your dog, not the other way around. Make sure you aren’t the one being walked by training your pooch not to pull on the leash. When your fur baby pulls, you must stop at once and let the leash relax. You may continue on your walk when the leash is relaxed. Repeat this as necessary. If this method is too tedious and slow, try the ‘Let go’ and reverse your direction method. Simply give them a ‘let go’ cue, and walk in the other direction without jerking the leash. After a few times, your dog should understand. Having a sense of control over your dog will give you peace of mind and keep them safe. It also doubles as a training tool and you can enjoy time with your pup without worrying about hypothetical scenarios. You can also prevent your dog from rolling in filth and/or from eating discarded food on the ground. This can reduce your vet bill by stopping them from contracting any fleas or diseases. I’d say a leash is just as beneficial for you as it is for your dog. Enjoy a worry-free day and develop an even closer bond with your pet. You can also ensure the safety of other pets and people in your vicinity without having to deal with lawsuits. It’s a win-win for everyone! Always stay ahead of your pet. They should be walking beside or even behind you, but never in front. Dogs are ever-curious creatures, so give them time to explore their surroundings. You aren’t in a rush, refrain from tugging on them whenever they stop to sniff the world.